Six Shareholders and Three Of Counsel Attorneys Included on “Super Lawyers” 2015 List | Golden Rothschild Spagnola Lundell Boylan Garubo & Bell P.C. Six Shareholders at GRSLB&G have been honored by their peers by being identified in the annual “Super Lawyers®” publication. Philip A. Lundell, Jr., Philip A. Garubo, Jr., Jeffrey Bell, and Eric Schlesinger were included on the list for Civil Litigation Defense, Catherine M. Shiels was included on the list for Workers’ Compensation, and Audrey Shields was included on the list for Insurance Coverage. 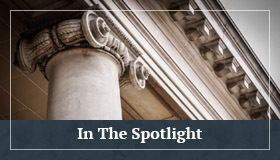 Kenneth R. Rothschild was included on the “Super Lawyers®” list for Insurance Coverage; Gary S. Spagnola was included on the list for Civil Rights Litigation, Jeffrey Kadish, Of Counsel, was included on the list for Personal Injury General Defense. Kenneth Rothschild, Gary Spagnola, Philip A. Lundell, Jr., Philip A. Garubo, Jr., Catherine M. Shiels, Jeffrey Bell, Audrey Shields, Eric Schlesinger and Jeffrey Kadish have been included in the “Super Lawyers®” magazine on the list for top attorneys in New Jersey for 2015. 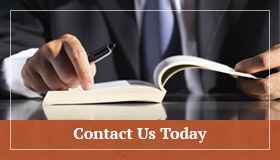 Only five percent of the lawyers in the state are named by “Super Lawyers®”. The selections for “Super Lawyers®” are made by Law & Politics, a division of Key Professional Media, Inc. of Minneapolis, Minn. Each year, Law & Politics undertakes a rigorous multi-phase selection process that includes a statewide survey of lawyers, independent evaluation of candidates by Law & Politics’ attorney-led research staff, a peer review of candidates by practice area, and a good-standing and disciplinary check.